Thanks, Fozziemom. We are so lucky. Thanks. Sometimes Mom takes good pics. What a sweet birthday post! Happy Birthday Louise – I’d say you’re one very lucky girl and your family is lucky to have you in their lives as well…………………..
Oh thank you so much, Basil. We love bdays! Happy Birthday! What a lovely, joyful post! Thanks Miss Vicki. We have fun at the zoo! Thanks Speedy. Time hops on. Looking good – happy birthday! 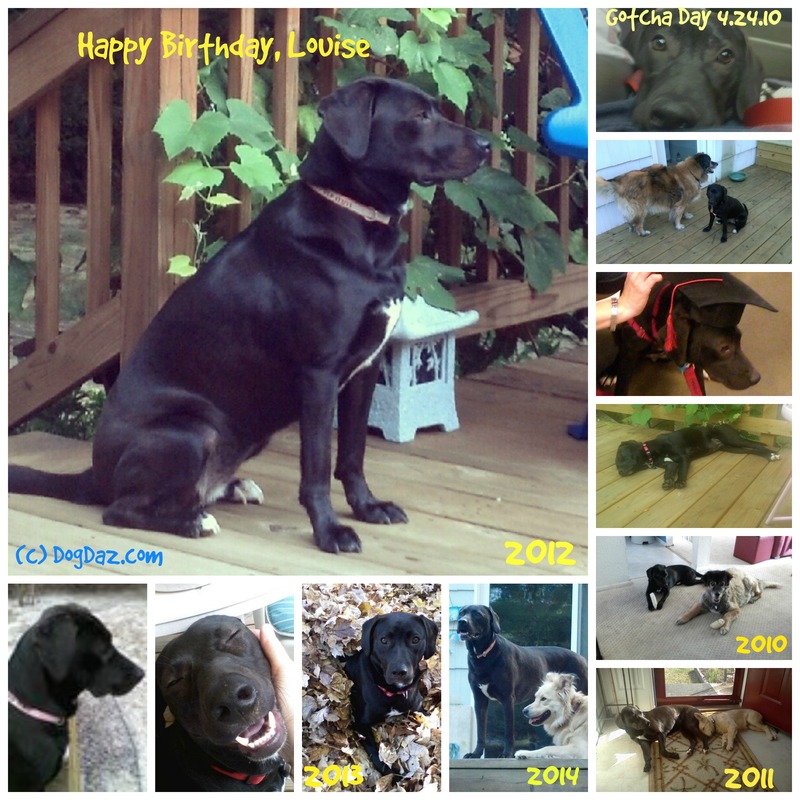 Happy Birthday Louise and many more! Oh thank you brat, I have been a brat for 5 years. yes but I know you have been a good brat Louise! Happy, happy birthday! Enjoy being five! Thanks Emma and crew. 5 will be fun! Happy Birthday dear Louise! It’s great to have your birthday on howl-oween, so you will get tons of treats! Pawesome! Aww Happy Birthday, Louise! What a beautiful note from mummy! We hope you got so many extra treats and loves… but I think we can tell without asking that you did!! Happy, happy day!!!! To all of you! Hope you celebrated in a big way!